Townhomes in the 905 showed strong year-over-year increase in sales activity for the month of December. TORONTO – Year-end numbers recently released by the Toronto Real Estate Board (TREB) have managed to confirm what many GTA real estate agents probably already suspected: 2014 was an exceptionally busy year for sales activity, falling short of the existing record by just 326 transactions. The Board’s Market Watch report for December 2014 reveals that 2014 yielded 92,867 residential sales across the GTA – representing a 6.7 per cent increase over the 2013 total of 87,049 transactions. The average home price also grew for 2014, rising by 8.4 per cent over 2013’s level to a final figure of $566,726. TREB president Paul Etherington acknowledged home affordability – bolstered by interest rates that remained favourable to buyers – as a major factor driving 2014’s heightened sales activity. “TREB’s 2014 sales figures are a testament to the importance Greater Toronto Area households continue to place on home ownership. 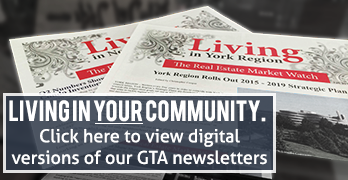 GTA households realize that home purchases have been a quality long-term investment,” Etherington explained. For the month of December, home types that experienced the strongest year-over-year sales boosts were detached homes in the 416 (17.1 per cent increase) and semi-detached homes in the 905 (24.1 per cent increase). Those numbers reflect an increasing interest in low-rise purchases that TREB’s director of market analysis, Jason Mercer, says was a key trend throughout 2014. “The constrained supply of listings was especially evident for low-rise home types like singles, semis and town houses,” said Mercer, noting that listings shortages – especially in the core – have become a much more significant obstacle to buyers over the last 12 months. Over at Urbanation, analysts looking back at 2014 reported a total of 22,765 condominium units rented out over the course of the year, reflecting a 15 per cent increase over the same figure for 2013.While the rate of rent growth slowed down a bit over the year – showing just a one per cent year-over-year increase in the fourth quarter – that, and the year’s final average rent amount of $1,816, are both affected by the shrinking size of new condo units (down 1.5 per cent from 2013). In 2015, that downward trend may become less of an issue, as some of the city’s major developers have announced plans to focus on bringing more large units into their mix of offerings. ““The rental market’s proven stability and consistent growth is encouraging as we remain in a scenario of high condo completions over the next couple of years,” Urbanation’s Shaun Hildebrand said in a statement. Meanwhile, vacancy rates are at favourable levels for downtown Toronto, with a recent CMHC study reporting a “low” of 1.1 per cent for 2014 – a full half point down from 2013’s lowest vacancy rate of 1.6 per cent.